My last Easter table, set up in our formal dining room. Using gold accents. Gold wine goblets add some drama. 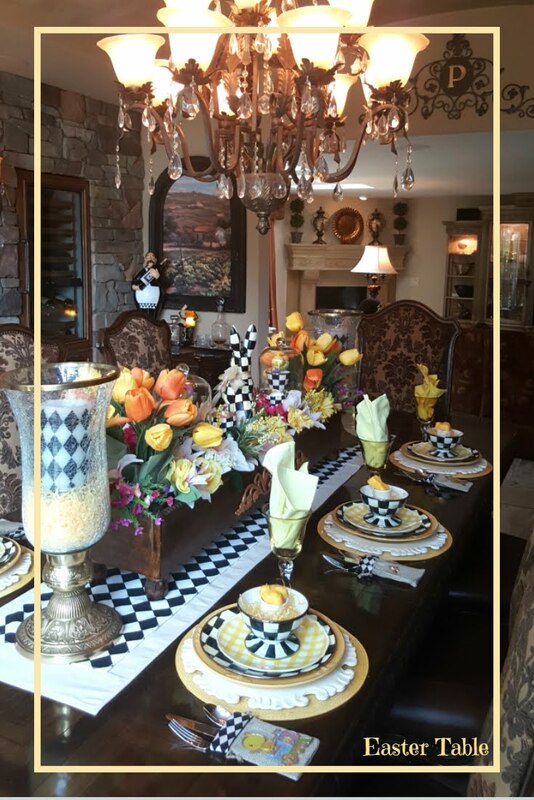 We love entertaining in our formal dining room. The coffee station, wine fridge, icemaker, sink, dishwasher and warming drawer allow us to entertain freely. My husband always takes care of our guests beverage needs. Tulips sit inside the large golden hurricanes with gold Easter grass. There are gold beads on the bottom. I also added tiny led fairy lights. Two sweet bunnies sit between the large hurricanes. Beaded gold placemats and gold chargers hold the gold and white plate stack. Gold flatware from Horchow. I bought the cute bunny gold napking rings from Pier1. I wrapped the napkins around the bowl and salad plate. 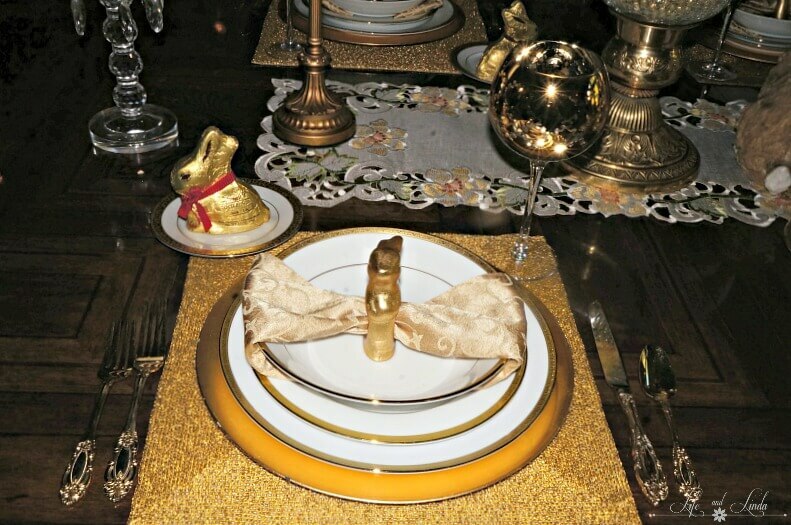 I also added a gold chocolate bunny at each place setting. Many Blessings to all. Have a wonderful Easter. A reminder, our link party is on Sunday. I am happily joining the following parties. This is so elegant and pretty. I would enjoy this for an evening meal with some wine! I like the gold bunnies- in fact I bought one for myself! I always looked forward to getting a chocolate bunny as a kid so I decided to get one this year! 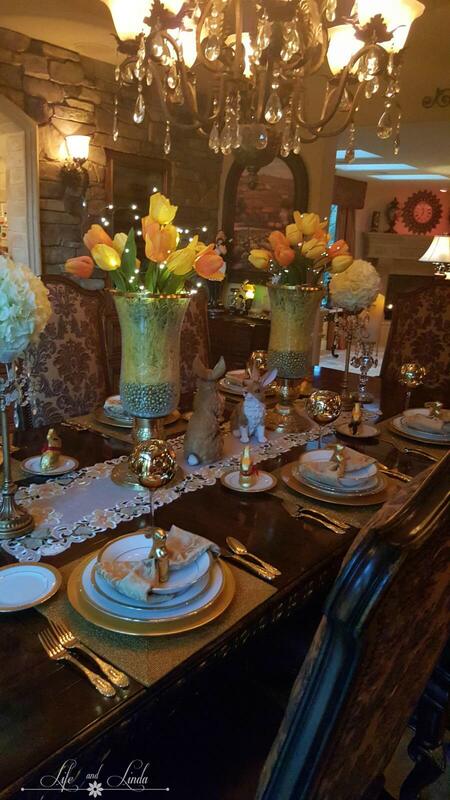 We're at my moms for Easter and I will set up the table for dinner on Sunday. Have a nice Easter! Golden, glam, and gorgeous! What a stunning table. I love it! 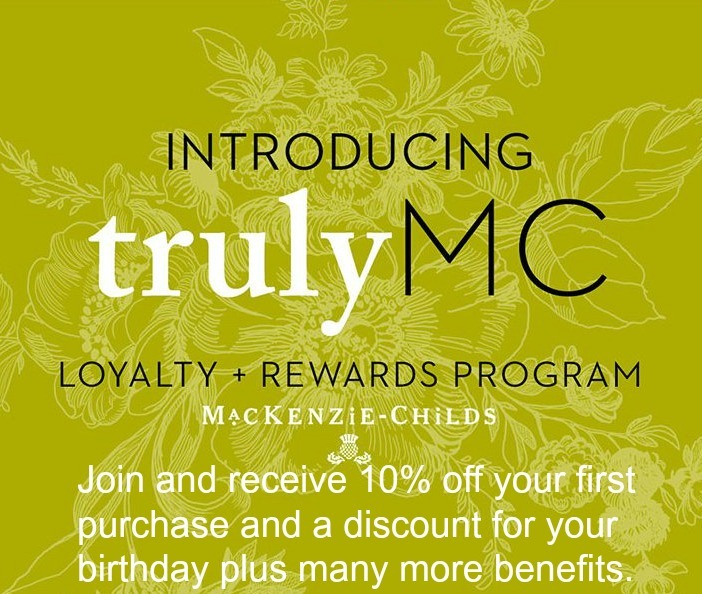 All the details, wow! 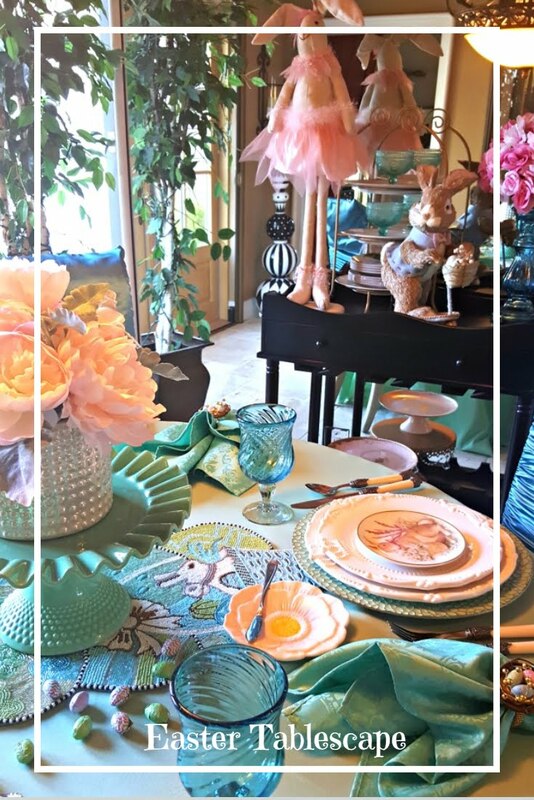 I love the rich elegance of this Easter table. I agree with Anita so perfect for our Risen King! Oh, this is lovely. Happy Easter. 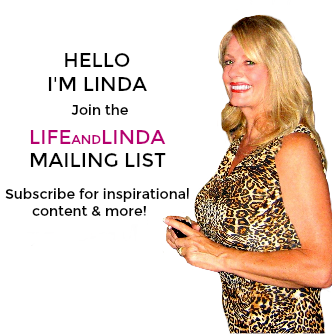 Linda, I've got to say your home and dining room/tablescape look like a very fancy resort. 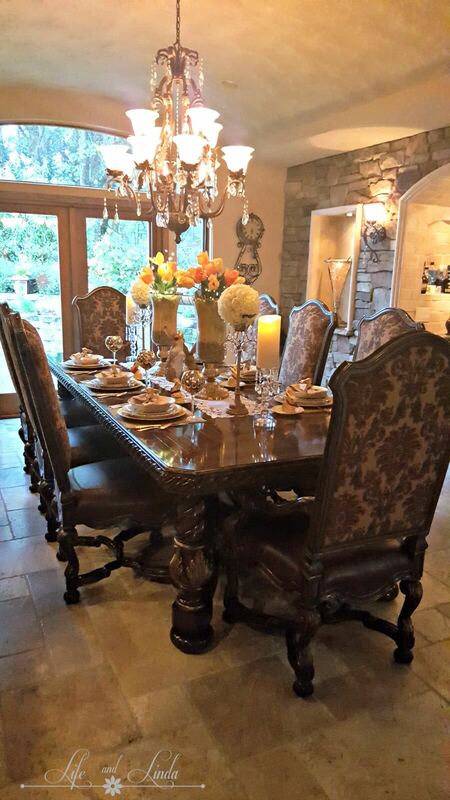 I know that anyone who is blessed to visit you must feel like they are dining at a castle. Love all your touches. 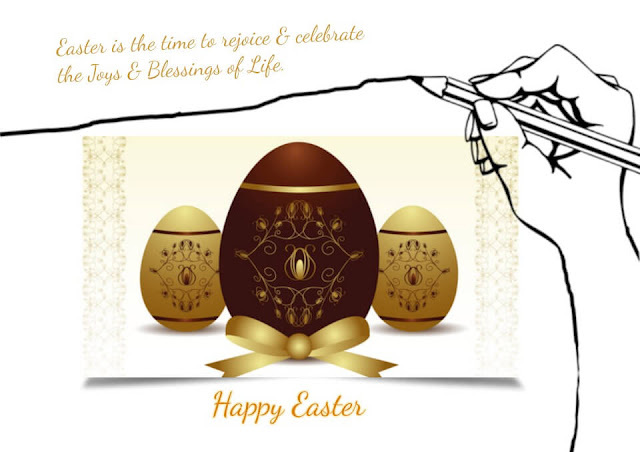 May your Easter be blessed! Exquisite dining no doubt. Warm Easter greetings! 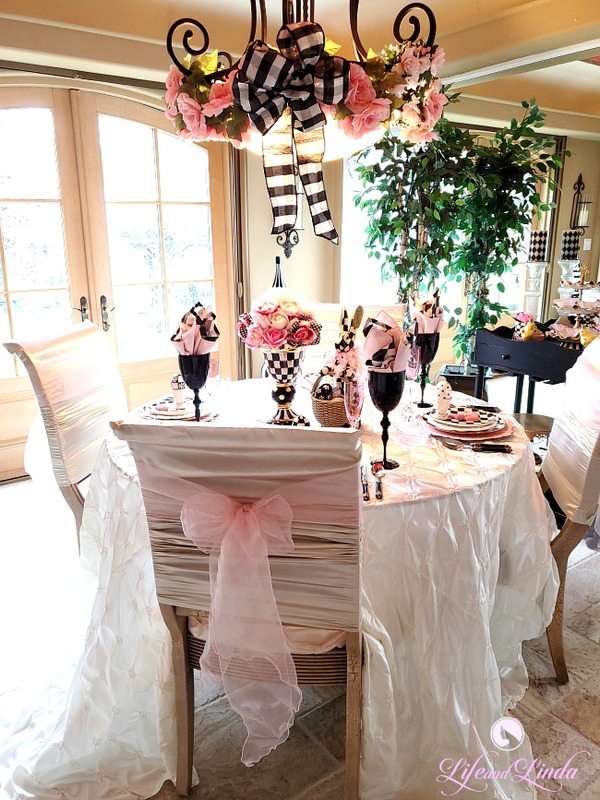 Linda- Your table setting for Easter is stunning. It is so elegant yet welcoming. 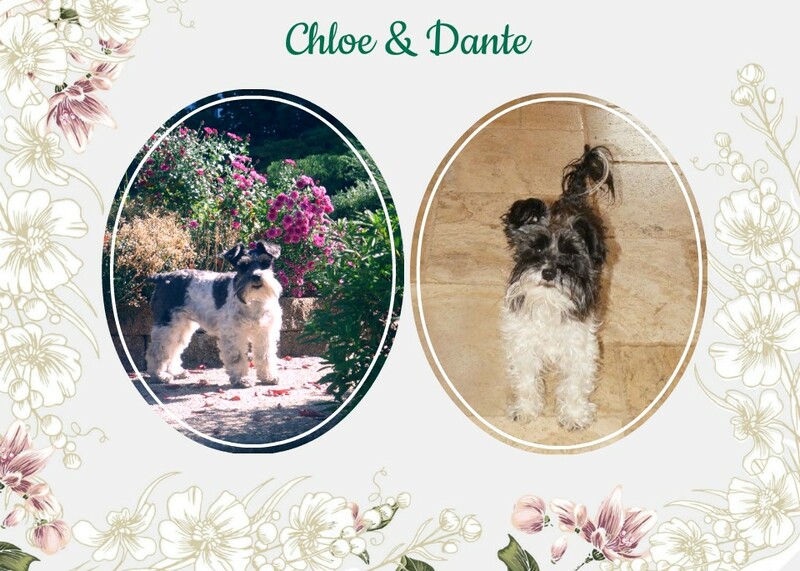 So elegant and lovely. 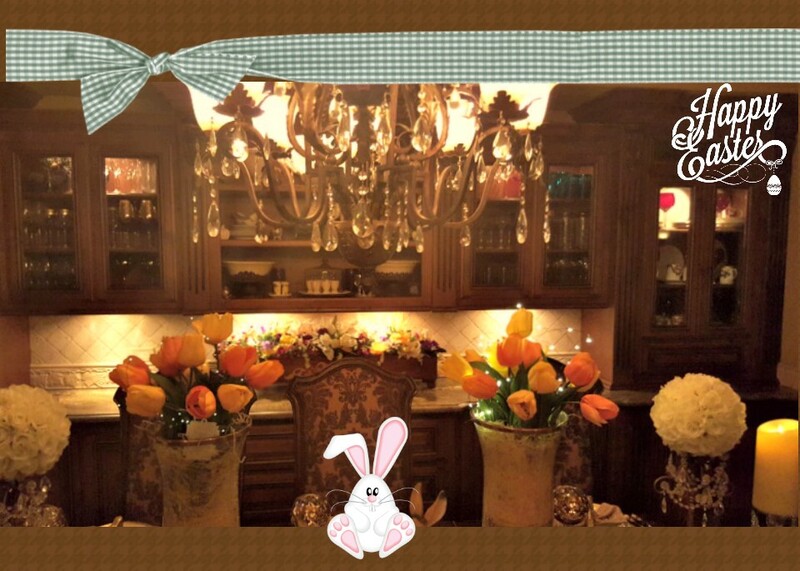 I hope your Easter celebration is/ was wonderful!! 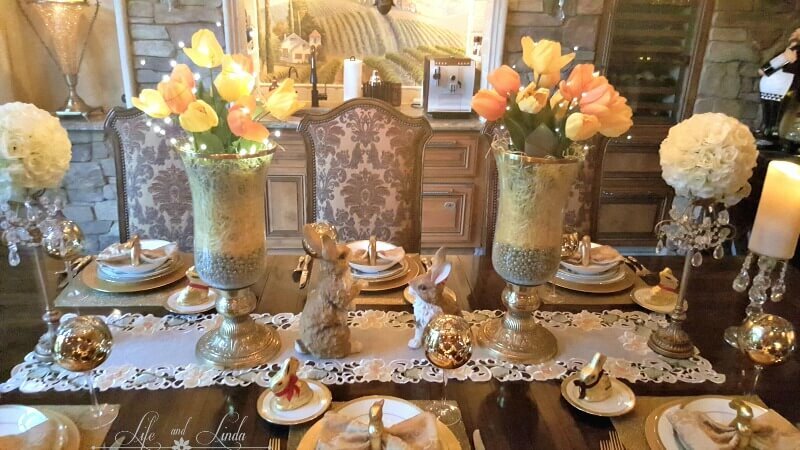 What a beautiful Easter table setting and love your golden touches! I hope you had a nice Easter. 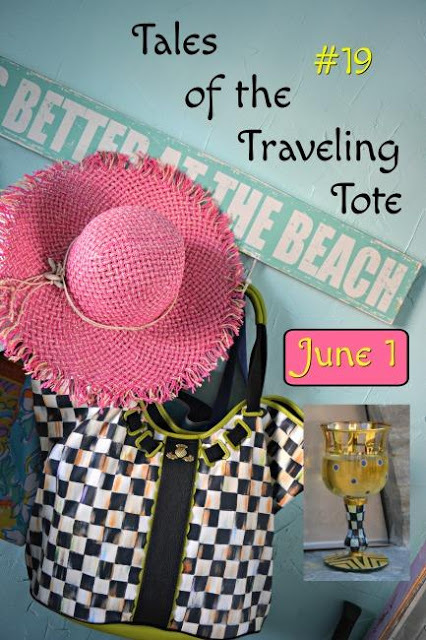 Thanks for joining and sharing this with us at Monday's Cooking & Crafting with J&J! We hope to see you again! 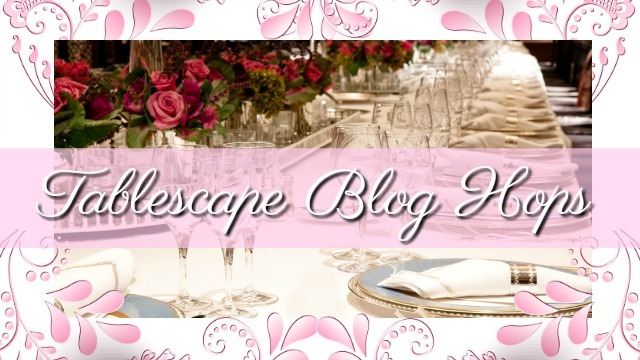 Linda, this table setting is truly lovely. I love all the gold touches. And the fairy lights, so cute. 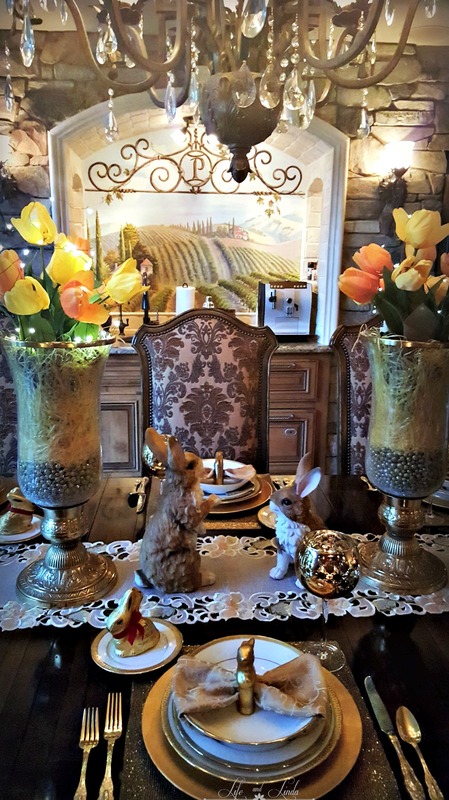 The gold chocolate bunnies are sweet, and that table runner is gorgeous. So pretty in every way. I hope you had a nice Easter, and can you believe it's almost April!